Microsoft Onenote now assists in solving math problems. 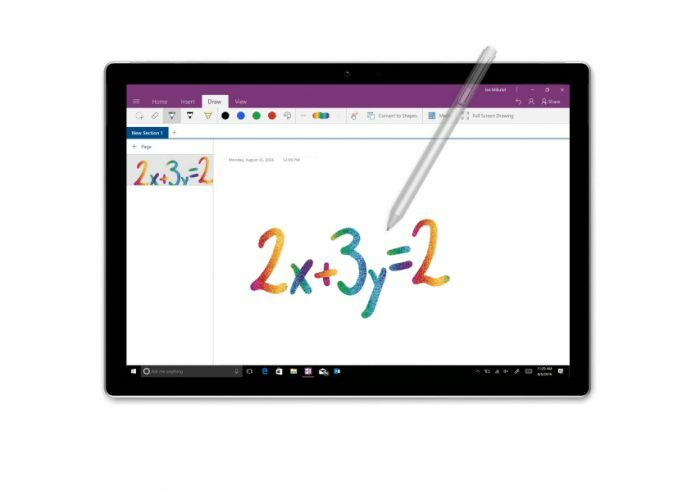 Microsoft is about to release an updated version of Onenote for Windows 10 ‘ink math assistant’. These new nifty updates would make the tool much more powerful for the future mathematicians out there. The new ink math assistant would be the biggest update as it converts handwritten equations into text and also solves them. It might not be helpful up to an extreme extent if it simply gave the answers for all equations, the tool also demonstrates how to solve the problems in a step by step procedure. This is a line-in of Microsoft Editor feature in Word, which guides on the grammar and styling tips making use of artificial intelligence. Ink math assistant has a cool feature which can re-play notes step by step. This helps in following a sequence of notes, for better understanding the order of operations in a math problem, recalling the lineup of thought after a brainstorming session. The earlier feature one released earlier in July doesn’t do anything which is productive. It provides an option to choose among a new set of ink effects which includes rainbow, silver, and gold. This enhances notes look much prettier.Microsoft made the features available to the Office 365 subscribers now. The company is adding a ‘fast’ tier to its insider program for the users who want to check out office features sooner. A higher risk of glitches and bugs is expected in this insider program.